Launched in 2014, MUNCHIES features groundbreaking content from a youth-driven perspective. Through engaging original video content, compelling editorial features, articles, how-tos, recipes, and events, MUNCHIES offers a signature perspective on the intersection where humans and food connect. 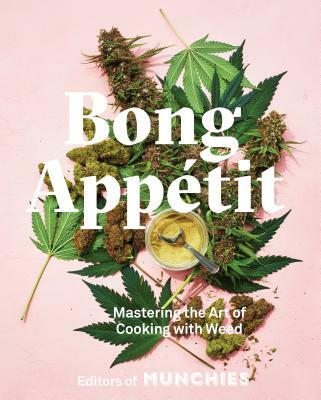 "A solid compendium of cannabis recipes, this cookbook has something for every taste ..."
"Sober instructions and intoxicating flavors make for an intriguing blend in this high-minded effort." "The accessible recipes in this witty and fun book will satisfy cravings, day or night." "With over 65 mouthwatering recipes, you'll never have a late-night craving left unsatisfied."